California state officials announced that the natural gas leak in Porter Ranch has been sealed. The leak began back in October 2015 and poured 96,000 metric tons of methane into the atmosphere. Confirmation that the leak has been sealed came in a statement from Jason Marshall, chief deputy director of the state Department of Conservation, the Los Angeles Times reported. This was an update from last week’s announcement that crews had reached the leak and created a temporary cap using heavy fluids and cement. Now that the leak has been sealed, attention is being turned to the 4,400 households that were displaced by the disaster. Residents who were forced to vacate their homes were notified that they have eight days to vacate their temporary housing that was provided by the gas company. Gillian Wright, vice president of customer service at Southern California Gas Company, told the LA Times that 1,800 residents had returned to their homes by early Thursday. Jeffrey Gunzenhauser, interim health officer for the Los Angeles County Health Department, told the LA Times that if residents neither smell odors nor display symptoms, then they can stay in their homes. However, not everyone shares his confidence. Porter Ranch’s Congressman, Rep. Brad Sherman, feels that sealing the leak is not the final step in the process of healing the community. “SoCalGas just announced that residents need to return by next Thursday even though truly thorough testing, including indoor air testing, has not yet been completed,” he said in a statement. The contaminants in question from the leak are cause for concern. The leak primarily spewed methane into the air which, although non-toxic to humans, is a strong greenhouse gas that could have an impact on global warming. But other chemicals released by the Aliso Canyon natural gas facility include mercaptans, hydrogen sulfide, and benzene. Mercaptans and hydrogen sulfide can cause headaches and nausea, but benzene is known to cause cancer. 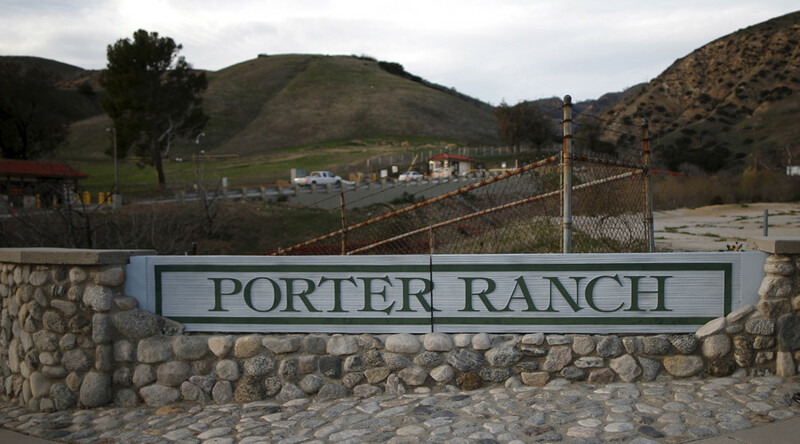 The battle to clean up Porter Ranch is just one of many for SoCalGas. The company is facing multiple lawsuits and investigations related to the Aliso Canyon leak. On Wednesday, attorneys for SoCalGas pleaded not guilty to criminal charges over a delay to report a huge methane leak, as well as an additional misdemeanor count of illegally discharging air contaminants. Although SoCalGas has no plans to open the facility any time soon, activists are calling for the permanent closure of the well. Matt Pakucko, president of Save Porter Ranch, released a statement saying "It is unacceptable to allow SoCal Gas to reopen this facility."